Media Teaching provides a fresh contemporary approach to media education which will be welcomed by all students and teachers of the media. Dan Fleming's text not only charts a detailed map of contemporary media studies but also shows how a busy teacher can move around this map. The text is supported by a wide range of examples - from the classroom, from the media itself, and from other texts. It should become an indispensable resource for teachers of media studies and for those engaged in media education across the curriculum. Dan Fleming bases his text on both wide teaching experience and a broad knowledge of contemporary media research, to provide a clear theory of learning that is grounded in actual classroom work. His approach is characterized by an argument for a more learner-centred perspective on media teaching. 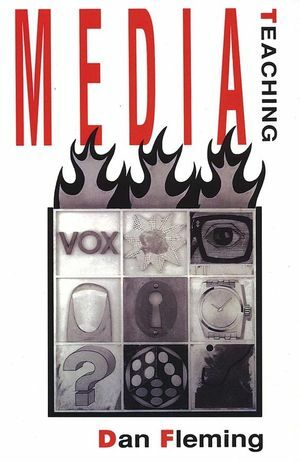 Covering not only the concepts and the structure of the media, Fleming offers teachers and lecturers a coherent account of the key issues and essential skills of media teaching. Dan Fleming is Lecturer in Media Studies at the University of Ulster, Coleraine. He previously taught at a secondary school, a further education college and a polytechnic. From 1986 to 1989 he was Editor of the Media Education Journal. 1. Talking Media: Language Games and Learning Outcomes. 2. Thinking Media: Public Communication and Modes of Experience. 3. Broadcast Media: The Organization of Audio-Visual Aids. 4. Broadcasting and Popular Culture. 5. Print Media: The Organization of the Instantaneous. 6. Popular Culture and the Boundaries of Sociability. "Media Teaching provides a fresh contemporary approach to media education which will be welcomed by all students and teachers of media." "It should become an indispensable resource for teachers of media studies and those engaged in media education across the curriculum." * A stimulating, contemporary approach to media teaching. * Fully illustrated with examples from the classroom.